Healthy Living Blog: Hello Sunshine! I have a message for all you staunch localvores out there: Live a little. There’s few things in the produce department right now more delicious than our citrus! Though it’s not grown in our frozen Vermont backyards, we couldn’t be happier to bring you a little taste of sunshine in these jewel-tone fruits. Winter days just got a little brighter! I’ll start by introducing you to an absolutely delectable feature this month: the Golden Sweet Tangelo. Grown for us by Uncle Matt’s Organic family farm in Clermont, Florida, this variety of tangelo is a cross between a tangerine and a grapefruit. Whether or not you’re fond of its parents, however, the tangelo is an all around winner. Sweet like a Clementine and incredibly juicy, this is a great one to slurp right off the rind. Get the Golden Sweet while it’s here—it’s not to be missed. And you can’t beat the price of $1.79/lb! Speaking of grapefruit, did you ever wonder who its daddy is? 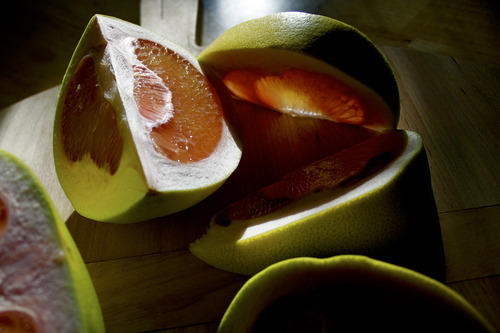 It’s the Grandaddy, citrus maxima—the Pomelo. If you’ve been in the department recently, you’ve probably noticed these impossibly large, chartreuse balls and wondered, What the heck is that?? Well folks, I did some investigating. Underneath the thick white pith, you can see where grapefruit gets its light pink flesh and bright tartness. Lacking grapefruit’s bitterness, the Pomelo actually has hint of pineapple flavor. It may not fit in your lunchbox, but the Pomelo makes a delicious garnish for 2 or 3 breakfast plates. Try it alongside your next omelette! 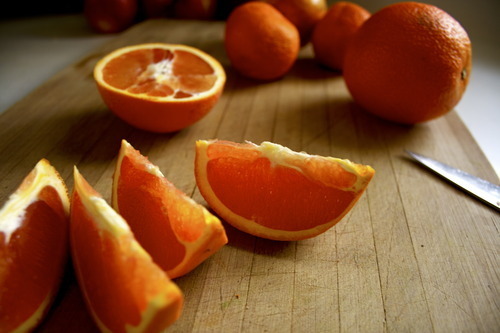 Another pink-fleshed citrus we’re loving right now is the Cara Cara navel orange. Discovered in Cara Cara, Venezuela, this variety is very low in acid, making it taste like a much sweeter Navel. Floral notes and plenty of juice make me partial to this tropical treat, and it’s nice to change things up a little if you’re a Navel lover. Looking for another opportunity to add some variety to your standard Navels and Clementines routine? 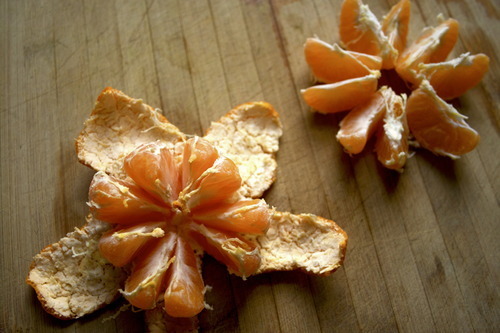 Look no further than the fabulous Satsuma Mandarin. Tiny, dimpled, and with a reddish-orange rind, the Satsuma peels like a dream and is tender and juicy inside. 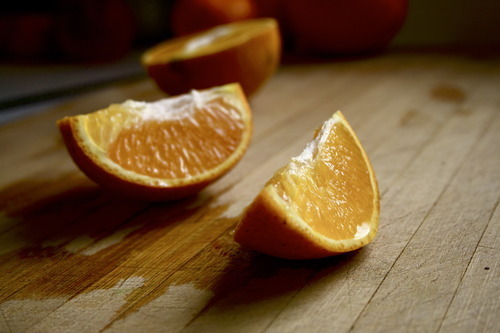 The succulent tangerine flavor will have you peeling another before you’ve finished the first! Throw a couple in the pocket of your ski jacket—you won’t be sorry. 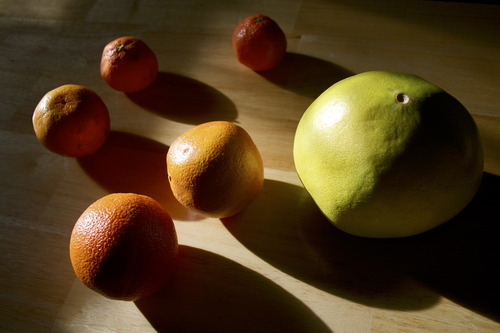 This entry was tagged caracara, citrus, healthyliving, juicy, pomelo, satsuma, sunshine, tangelo, tropical. Bookmark the permalink.